You know you need a blog, but you don’t have the time to write regularly. Does this sound like you? Then maybe it’s time to hire a ghostwriter. One of the top reasons people don’t blog is due to a lack of time. 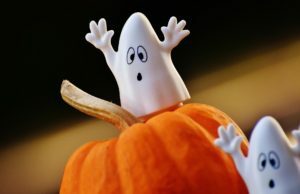 Sales representatives, business owners, virtually any business professional can benefit from hiring a ghostwriter. 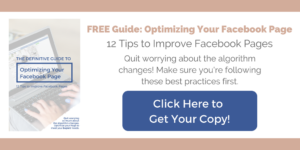 Do you need help creating quality content? Click here to contact me. Ghostwriters don’t just write novels. 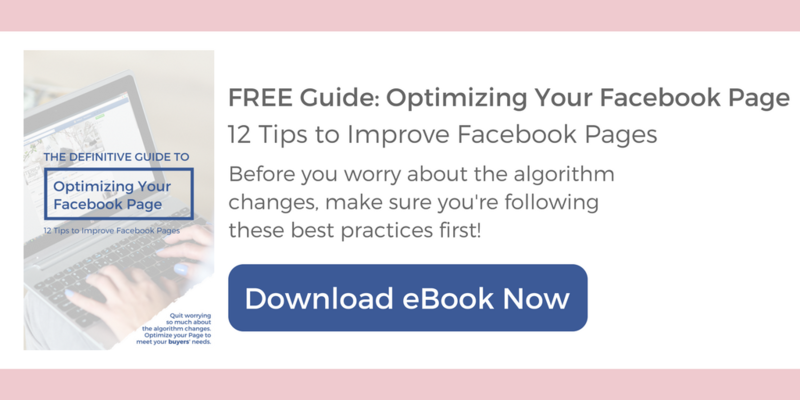 Today they write blog posts, eBooks, white papers, social media posts, emails, video scripts, and other content to fill out your marketing strategy and build your position as a thought leader. But don’t worry, working with a ghostwriter doesn’t have to be difficult or break the bank. 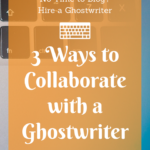 If you know how to collaborate with a ghostwriter, you can get the most out of your investment. 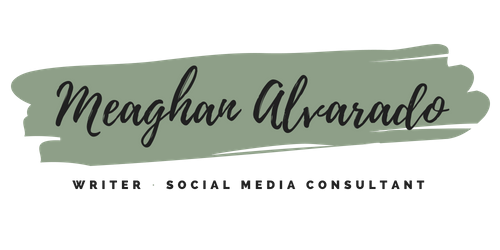 As a ghostwriter, I’ve written for clients in fields varying from social business, inside sales, insurance, marketing, artificial intelligence, even some content for the food and beverage industry. There are writers out there who are knowledgeable in your industry and open to ghostwriting. 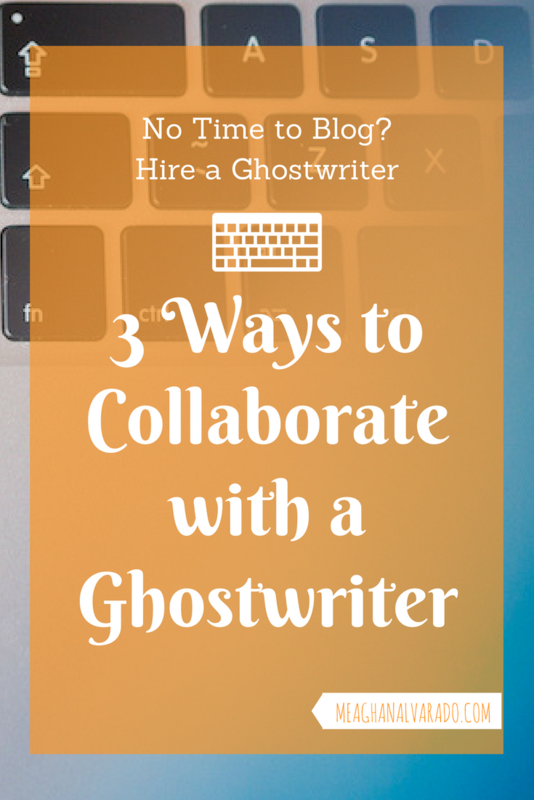 Collaborating with a ghostwriter shouldn’t be hard. 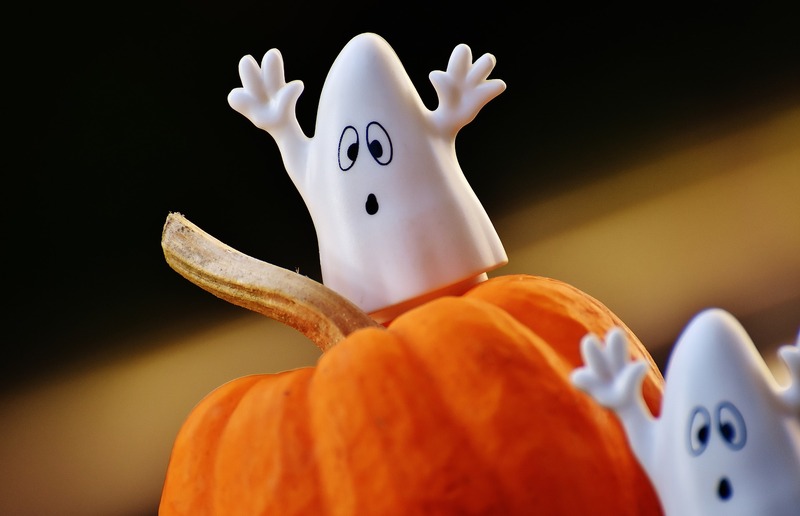 Here are a few ways you can seamlessly work with a ghostwriter to get your content created. Have the writer come up with questions to interview your team and create a blog post from their replies. Deliver them a list of ideas. 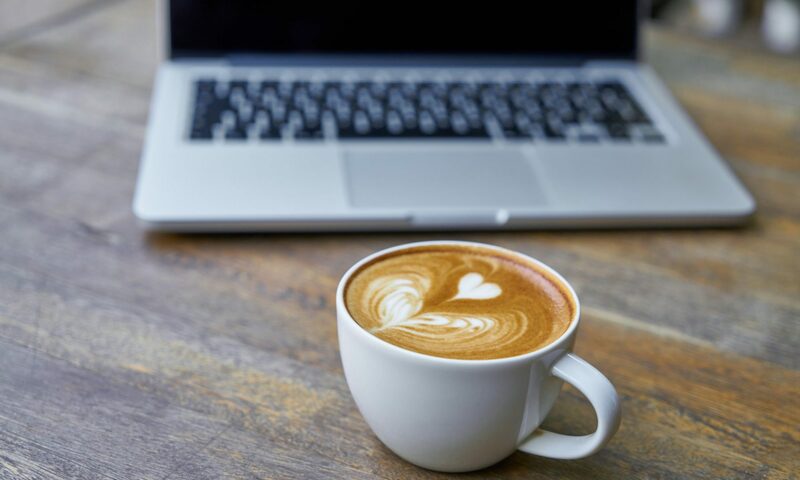 Provide a theme and leave it up to the writer on the particular topic—just make sure they clear it with you before starting on a 1,000-word blog post. Turn a podcast into an article. If you’re more of a talker than a writer this is an excellent option. Not only does it give you the material for the writer to go off of, but it gives you another outlet to share your message. Write the majority of your blog post and hire a ghostwriter to copy edit—refining your writing and filling out the content. Share Feedback – This could likely go unsaid, but once you have the copy from your writer, go through it and tweak it to make it your own. To build a long-lasting relationship with writers, send them your final edits, so they have a better idea of how to write for you in the future. Sharing feedback will make your and their job easier going forward. Clarify Goals – Be clear in your goals and every detail of what you want and don’t want. There is no magical mind reader tool available, yet anyway. Consider preparing an outline to organize your thoughts. If there are any sources you don’t want to include in the content, be sure to note them. An outline depicting your core objectives will help to secure a quality product faster. Encourage Creativity – Give the writer some creative leeway. Many of the best articles I’ve written as a ghostwriter has stemmed from when I’m given only a title and a keyword. Once the writer has an understanding of your objectives and voice, let them run with the project. The details should come together nicely. Remember that the experts may be more expensive. Sometimes a general writer is your best option. A good ghostwriter will conduct comprehensive research into the topic they’re writing about and can save you money. The majority of my monthly revenue as a writer comes from ghostwriting for busy professionals. 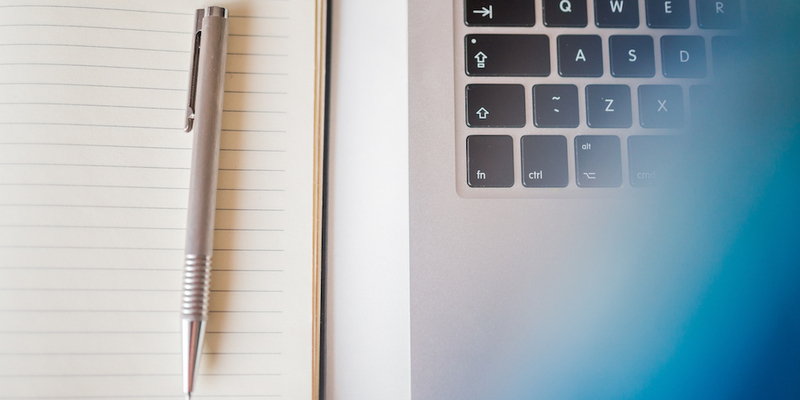 If you’re ready to get your time back and still have articles with your byline, then email me to discuss a plan for building up your thought leadership position with a blog.